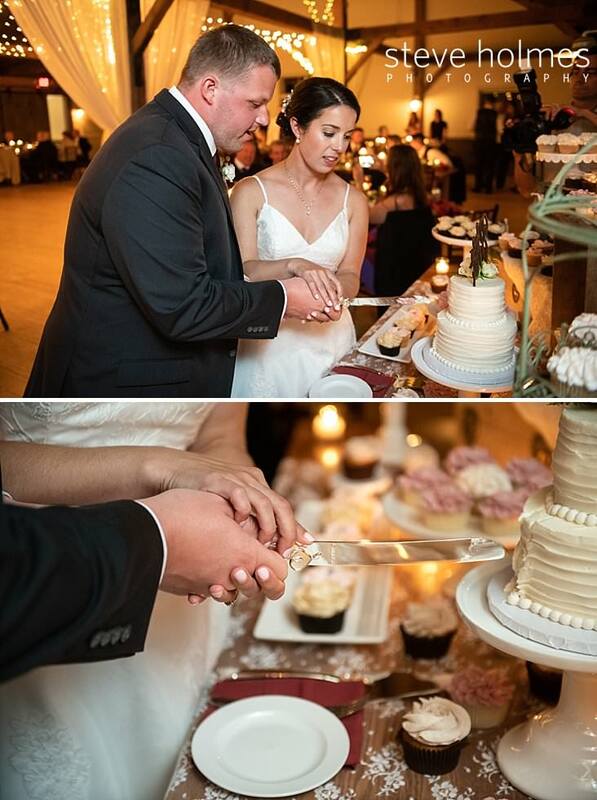 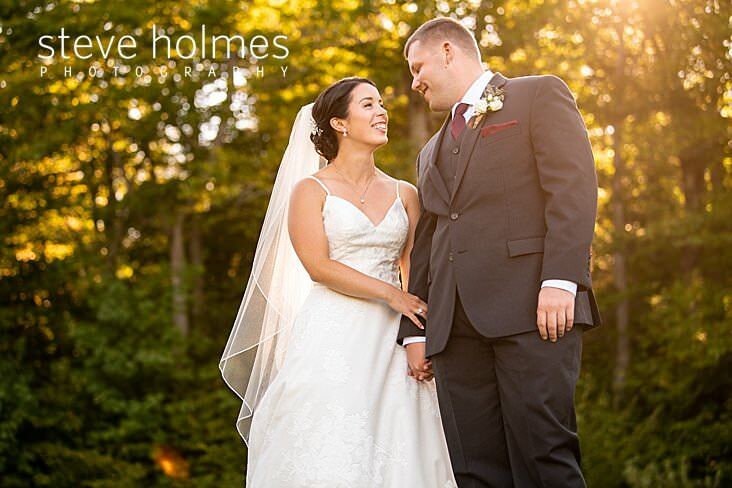 Allison and Mitchell were married on a gorgeous fall day. 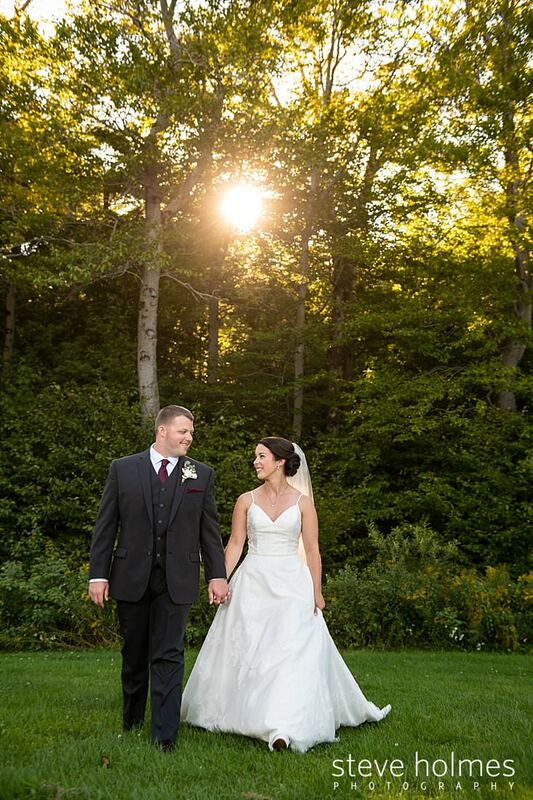 Perhaps it was their sweet love for each other that cleared the rain that had taken most of the days that September. 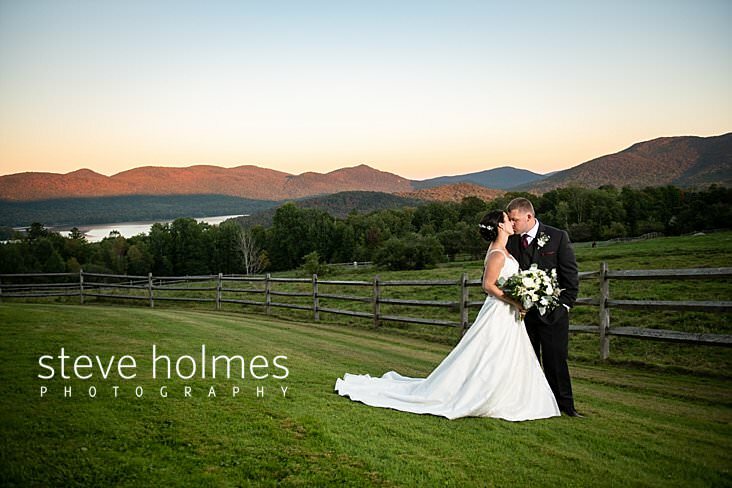 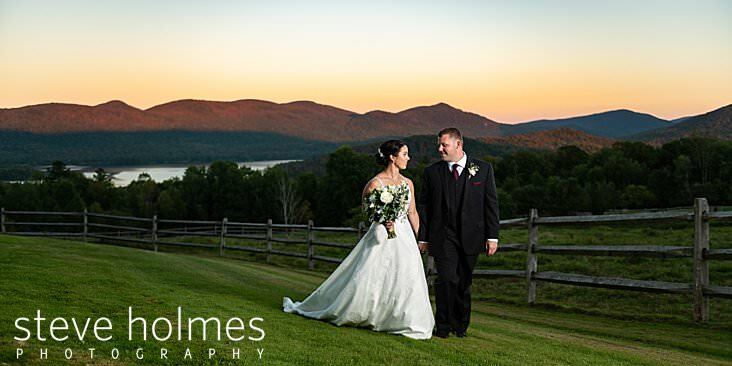 I frequently photograph weddings at the Mountain Top Inn and Resort, and it never ceases to amaze me with it’s scenery. 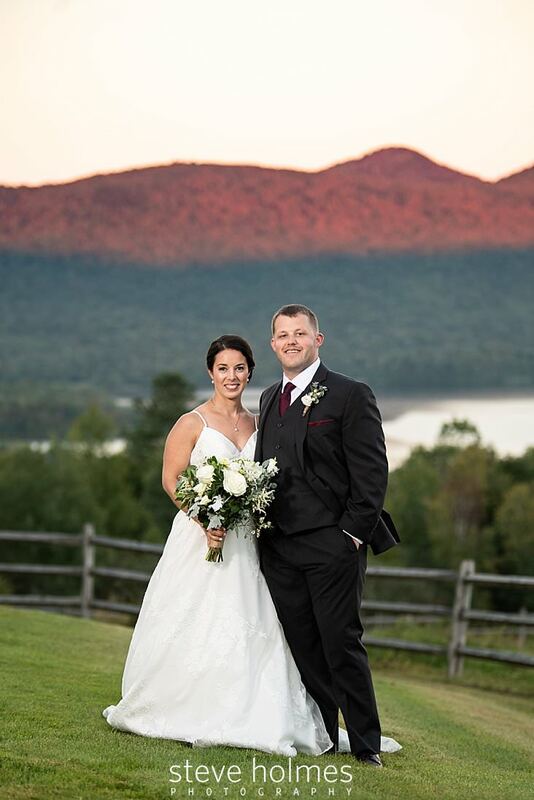 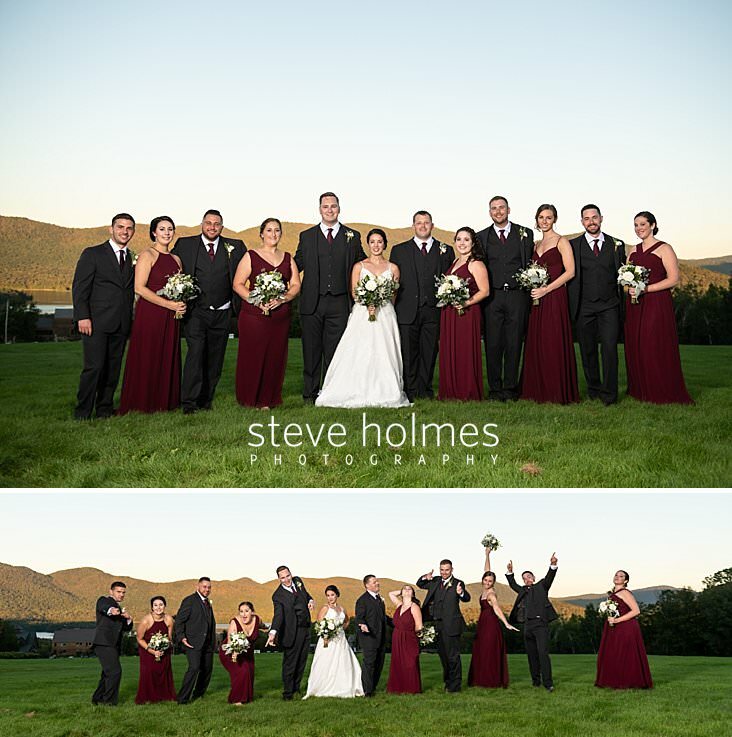 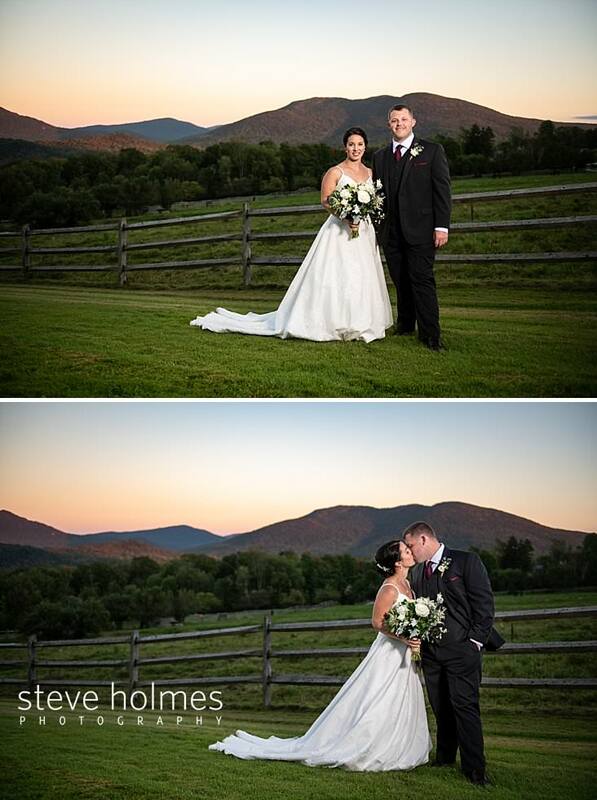 They timed their ceremony to be later in the evening to catch their portraits at sunset over the Green Mountain range in Vermont. 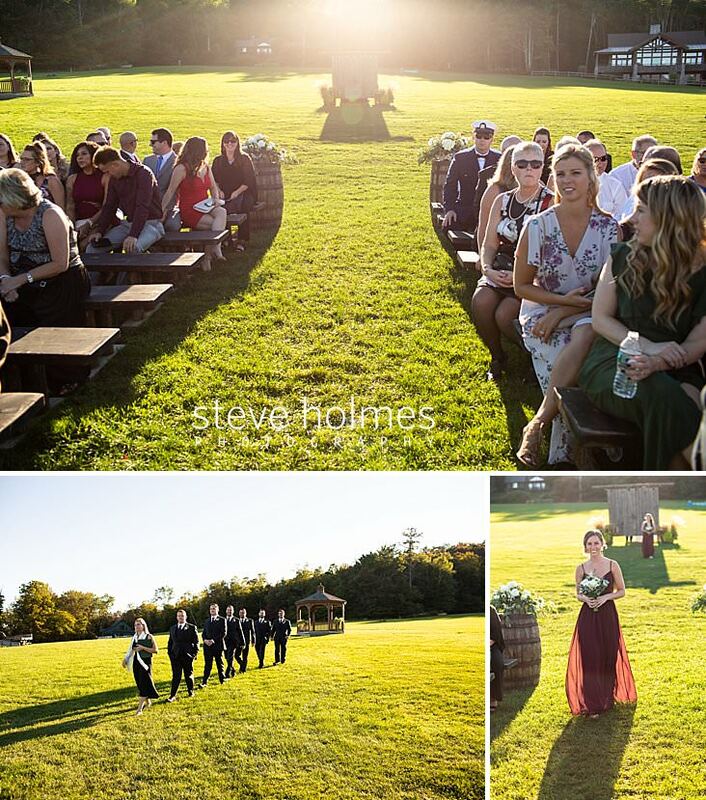 The trees had just begun to turn golden amber and the bride and groom were illuminated in a classic, crisp fall sunshine. 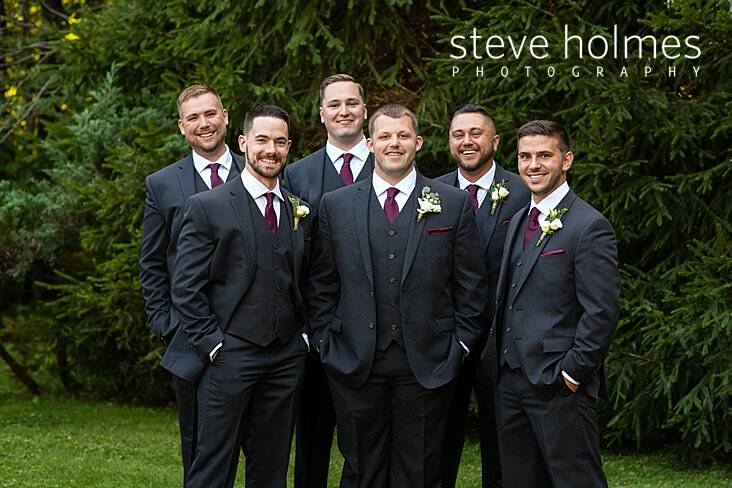 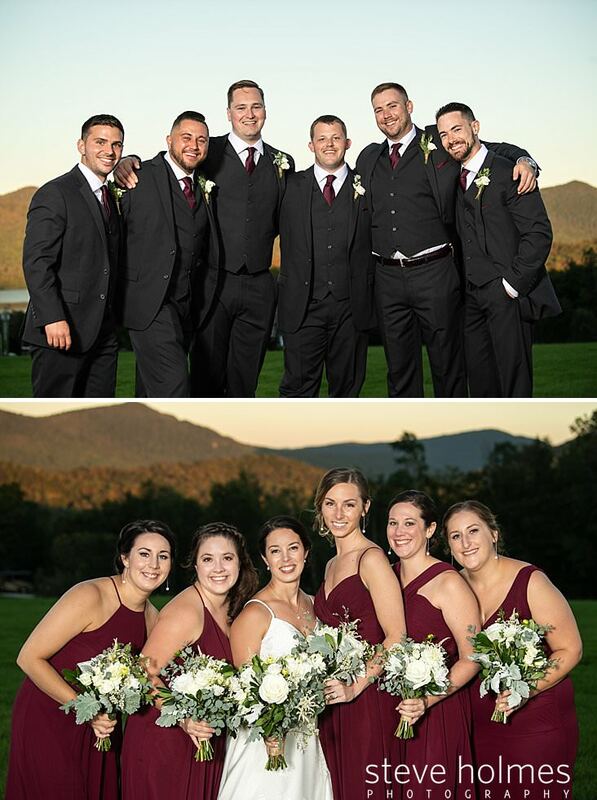 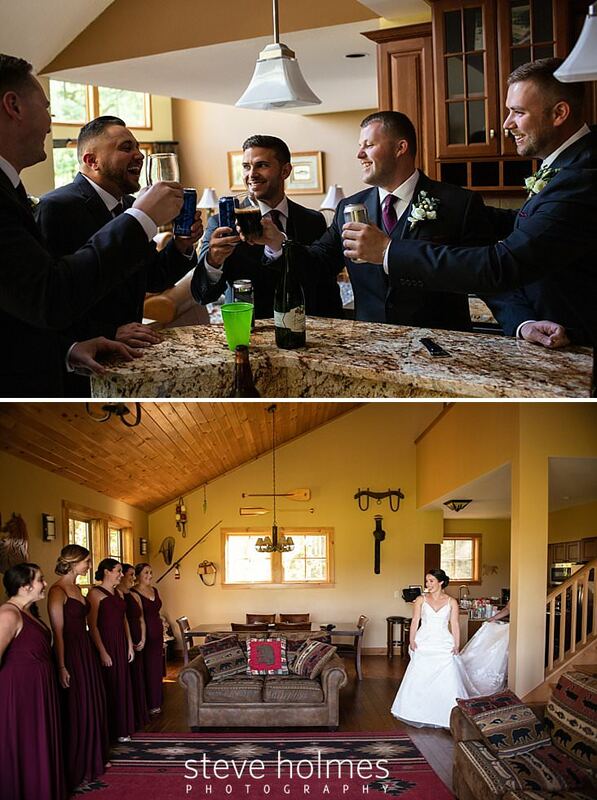 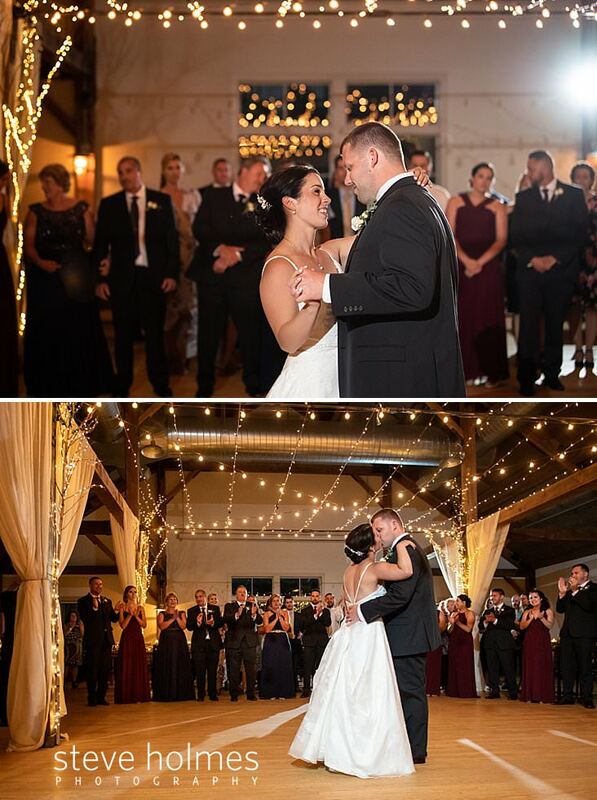 The bridal party took the classy approach on the Autumn season and wore burgundy gowns and ties, complimented beautifully with white bouquets. 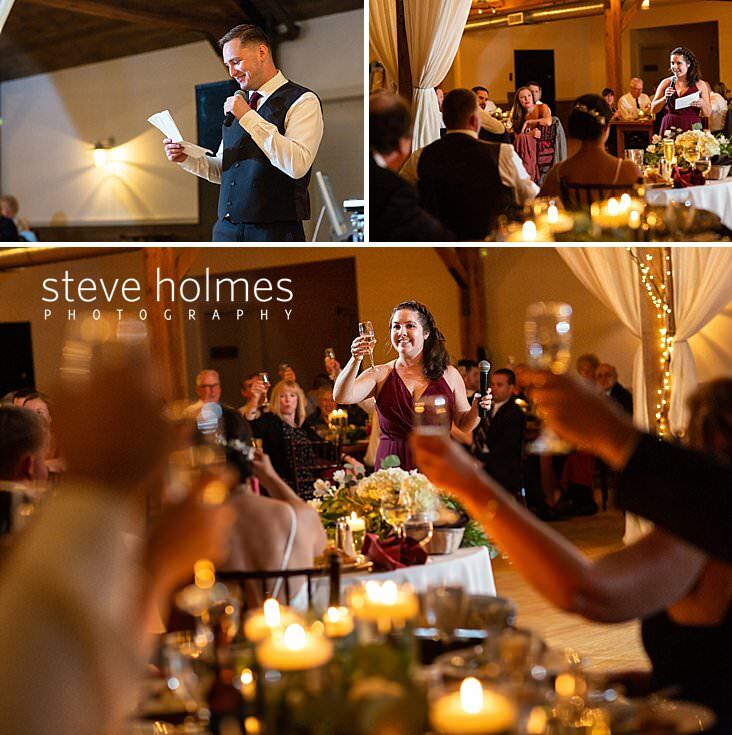 As the evening progressed and we moved indoors. 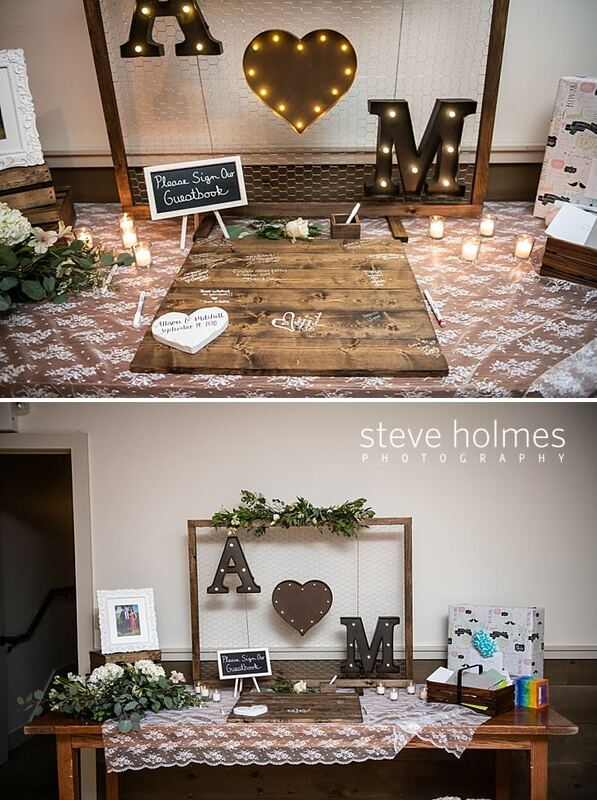 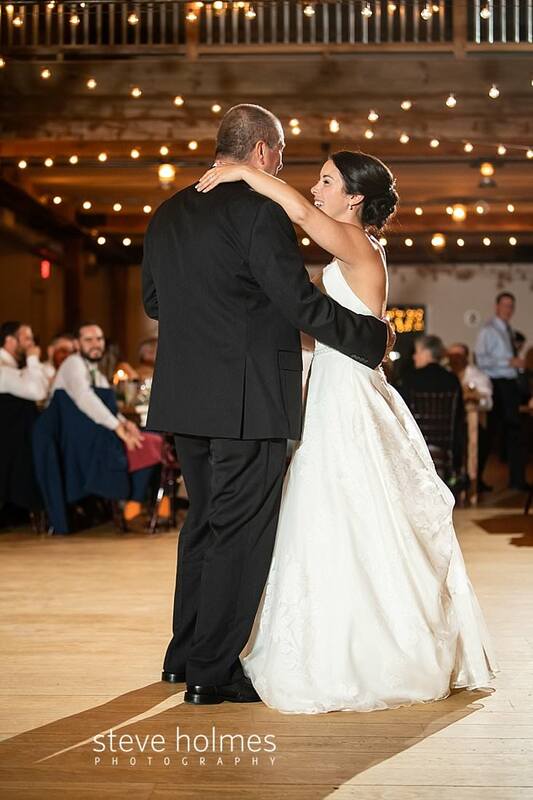 The venue was decorated with twinkle lights and rustic touches. 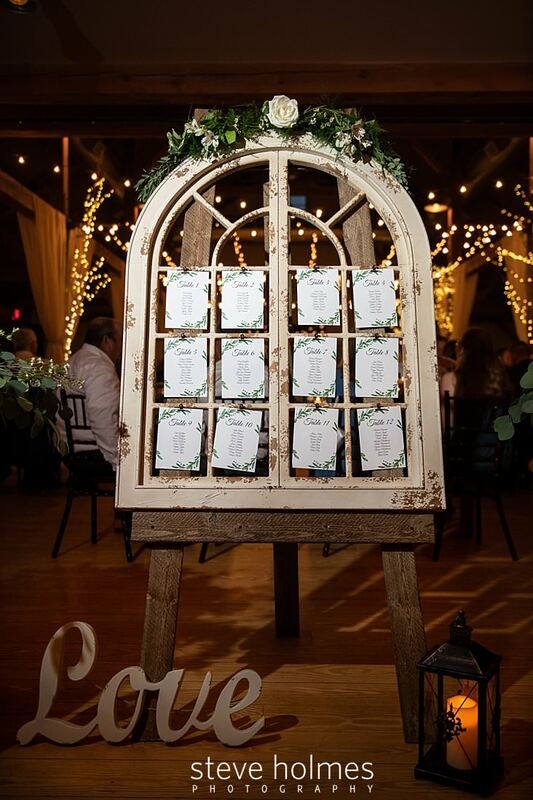 There was an old arch window displaying the seating chart and a wooden guest book. 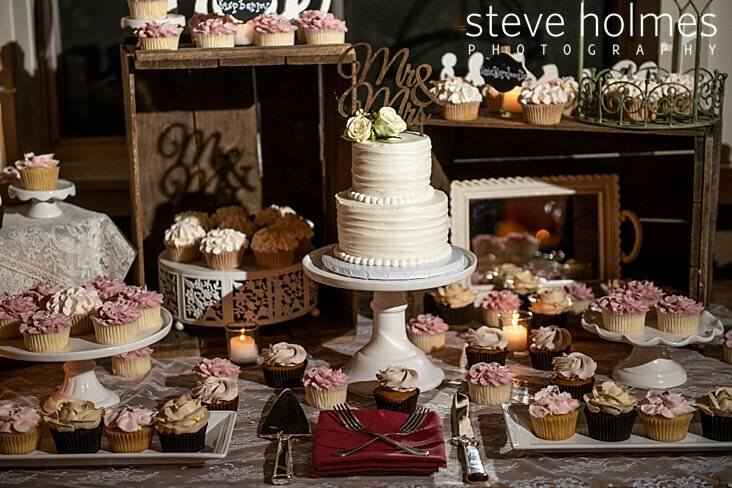 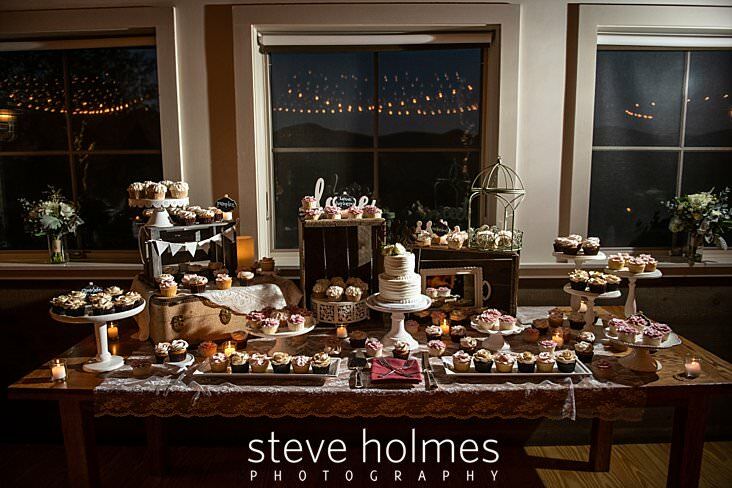 After a delicious meal, the mouth watering display of assorted cupcakes delighted the guests. 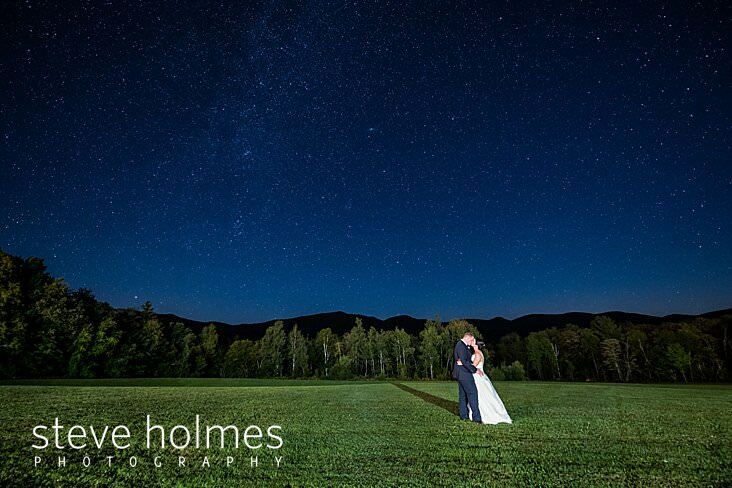 We topped off the newlywed’s perfect evening with a portrait under the starry Vermont skies. 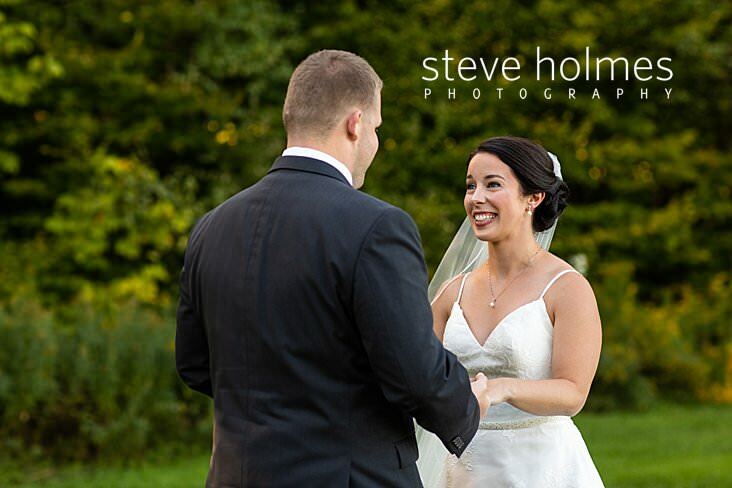 I wish Allison and Mitchell a lifetime of health and happiness together. 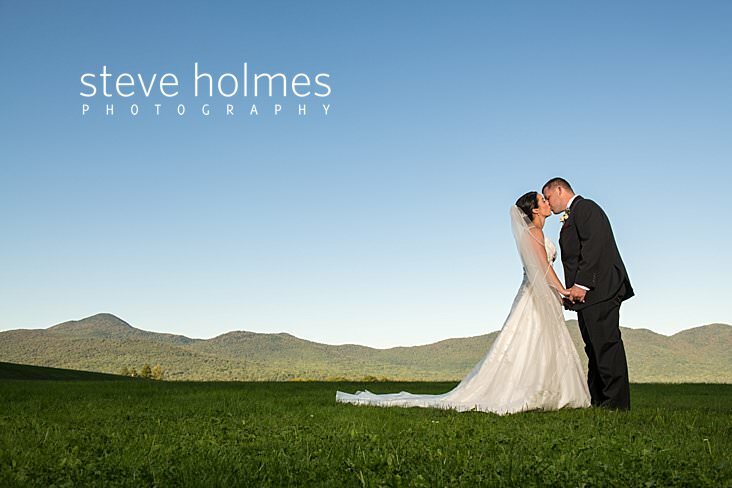 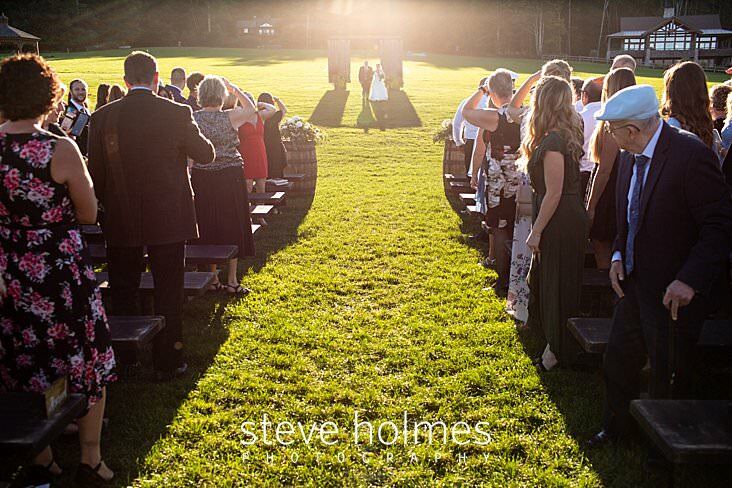 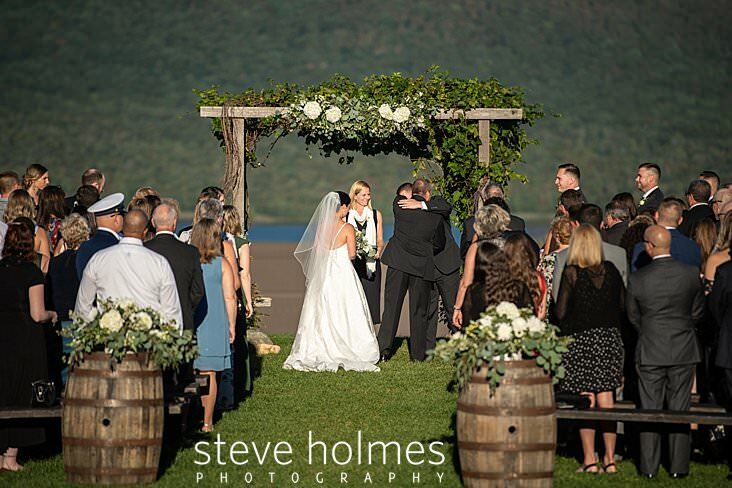 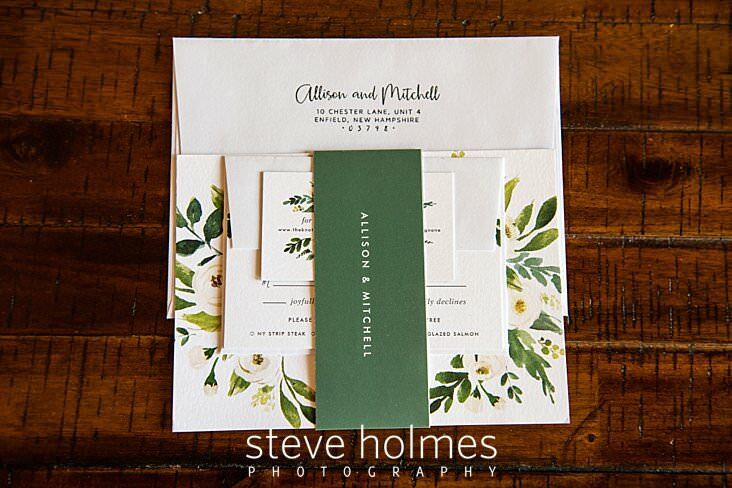 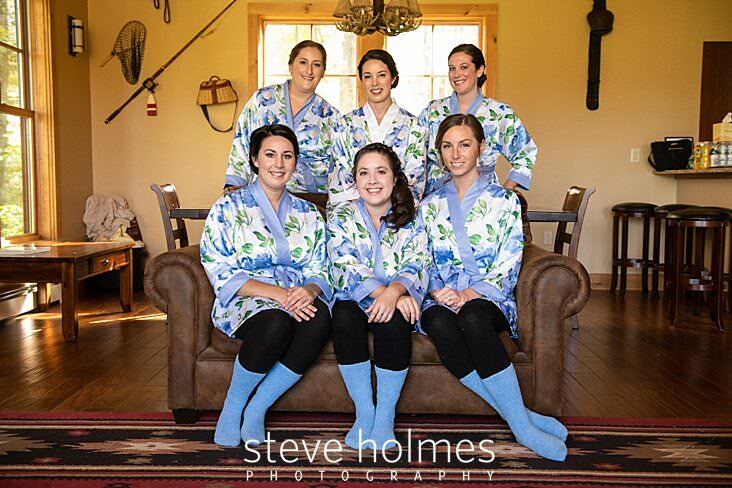 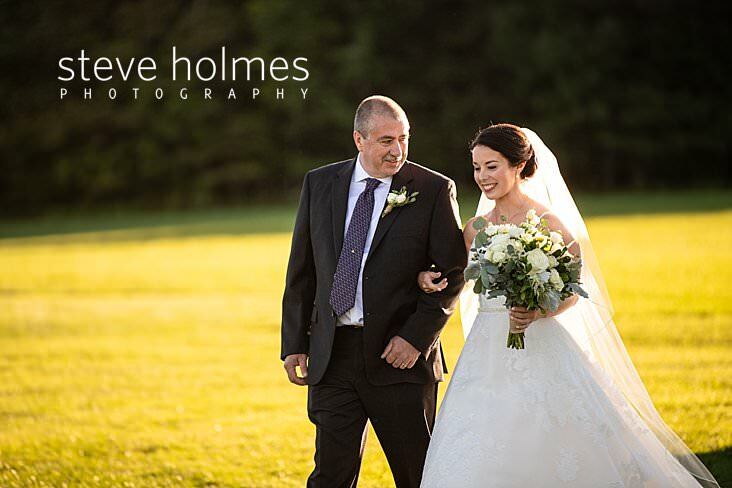 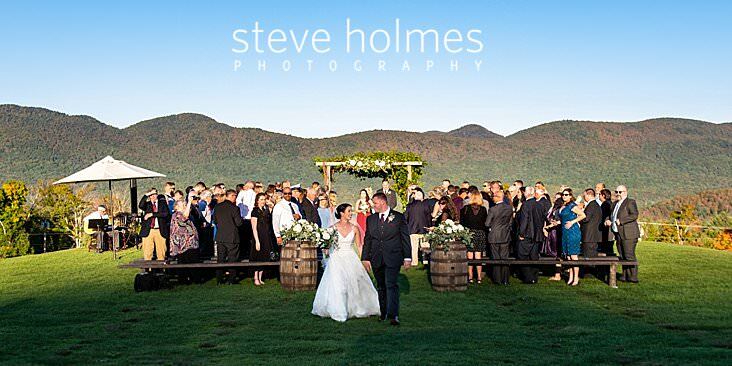 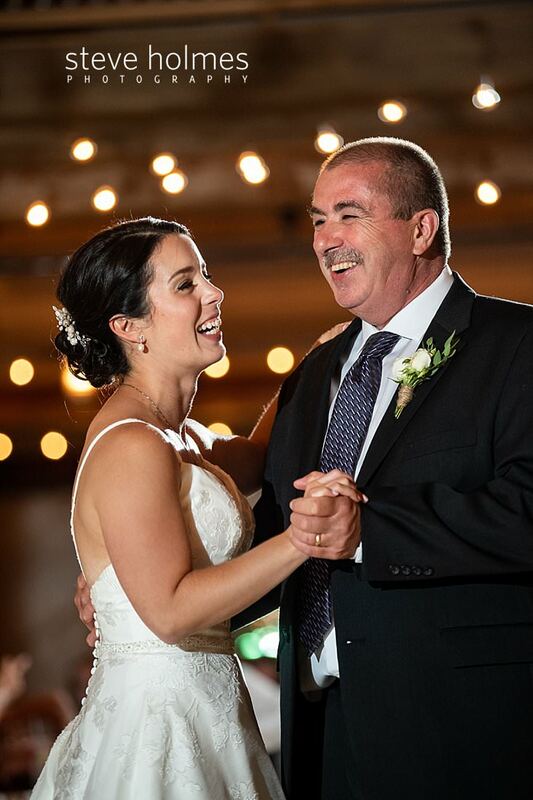 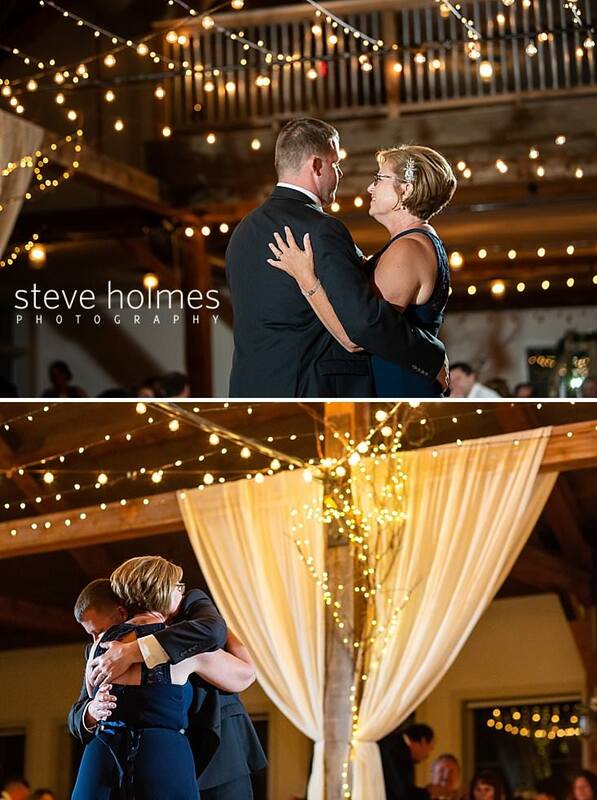 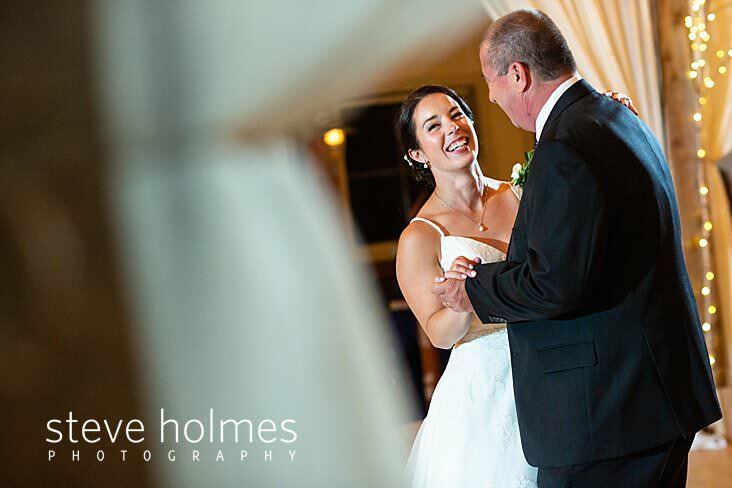 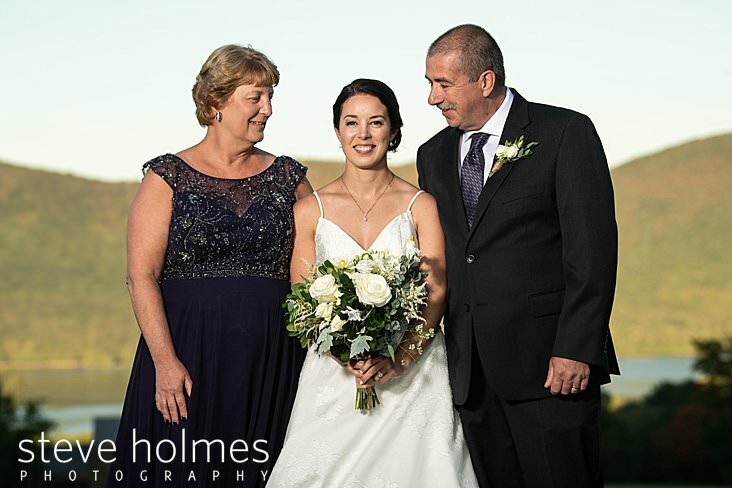 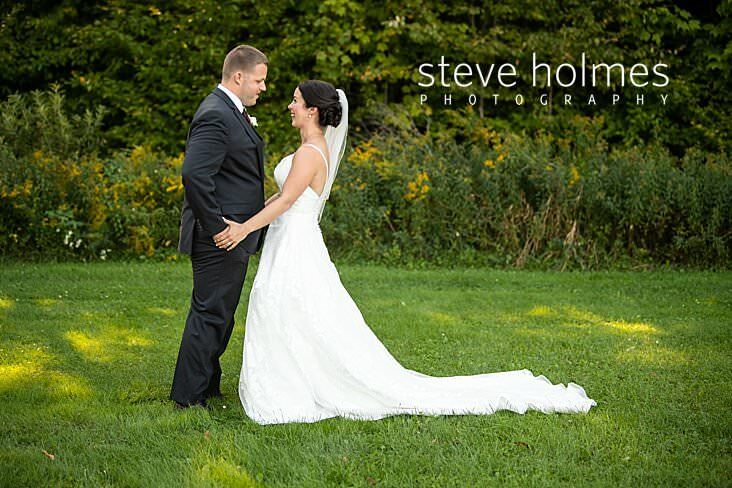 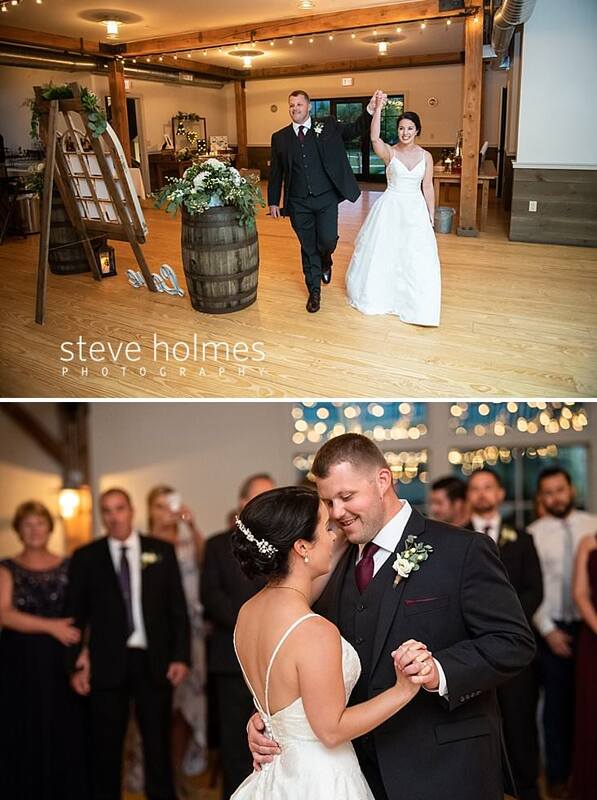 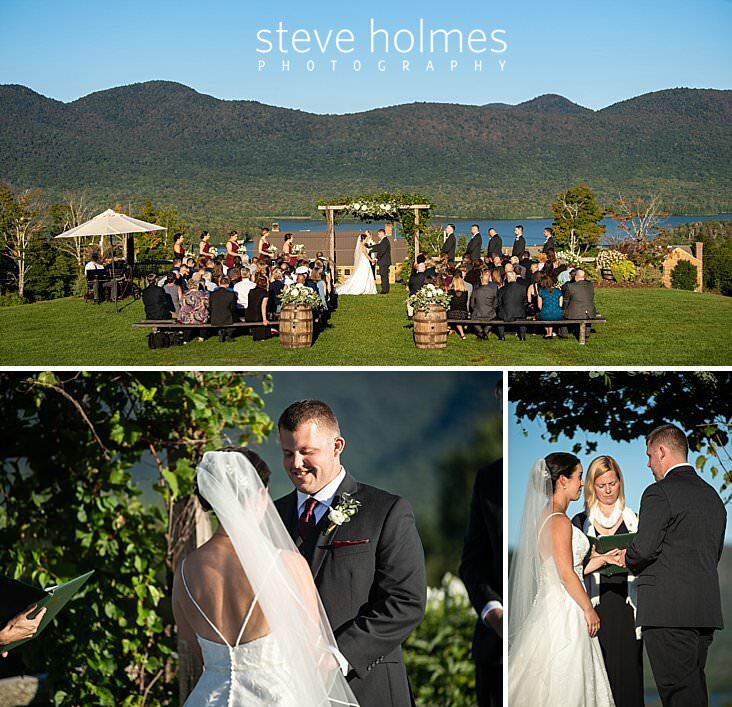 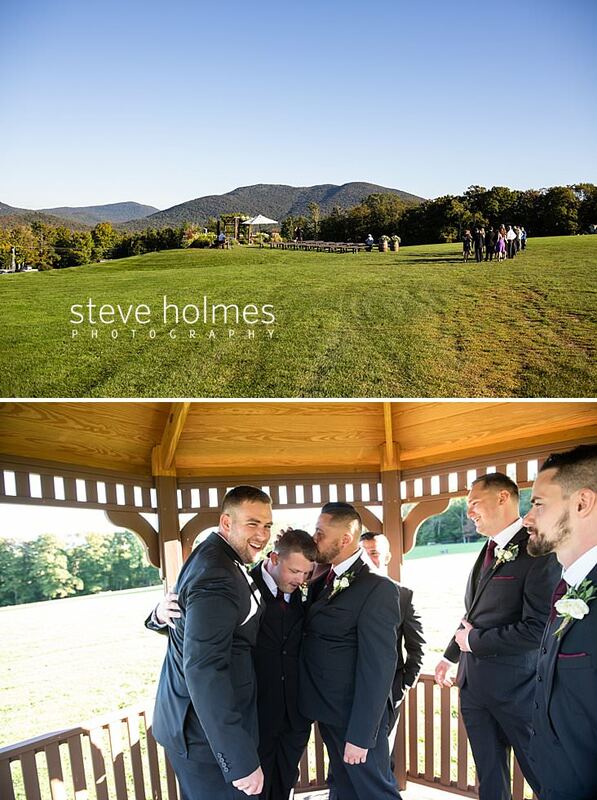 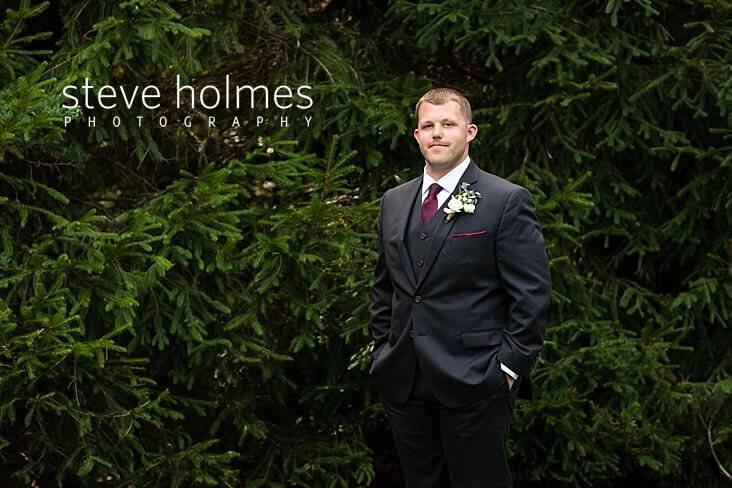 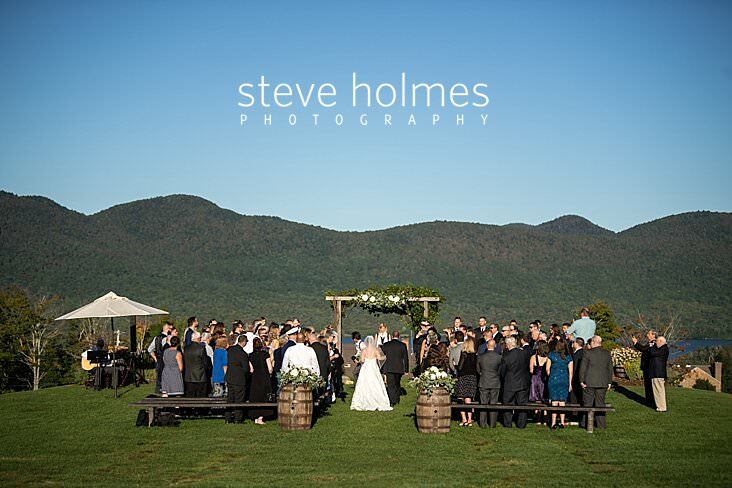 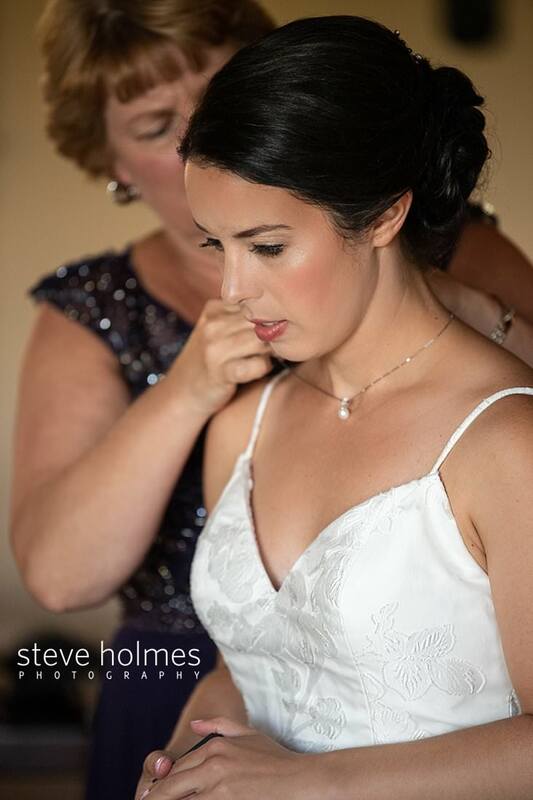 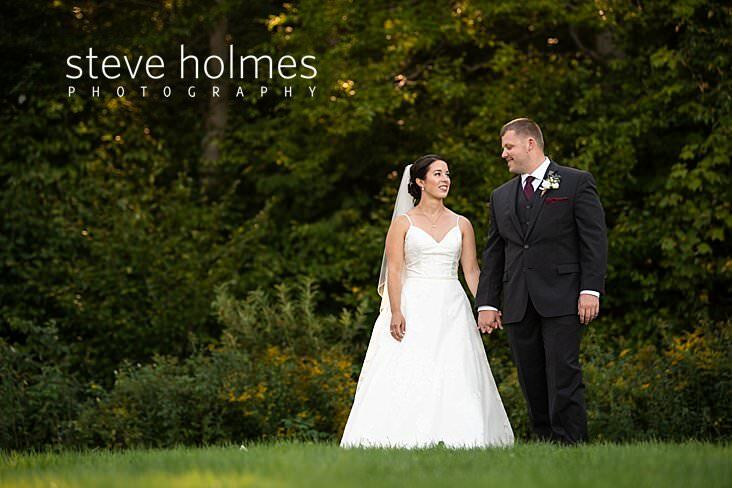 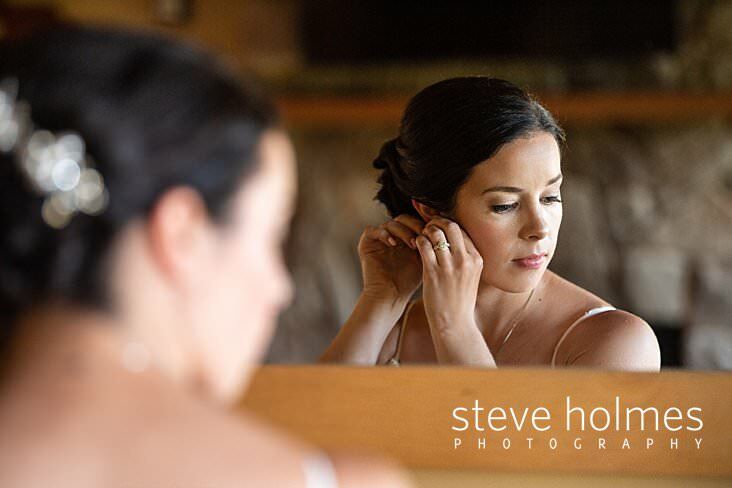 Steve Holmes Photography offers distinctive and stunning portraits for weddings, events, families and seniors. 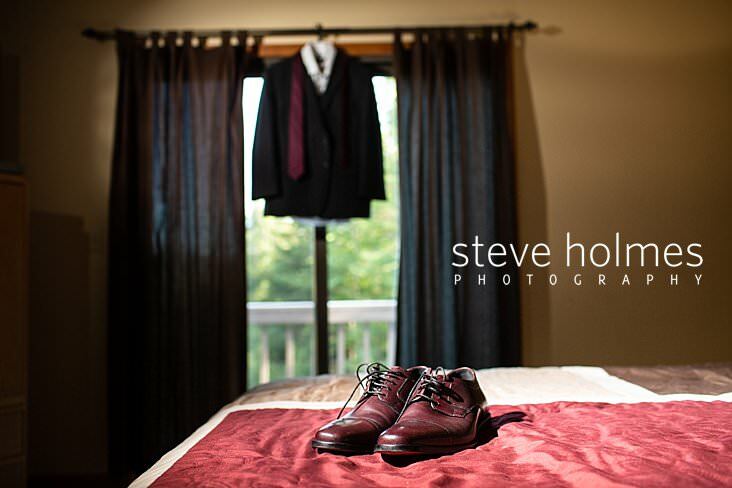 See more of my work on my portfolio or my blog. 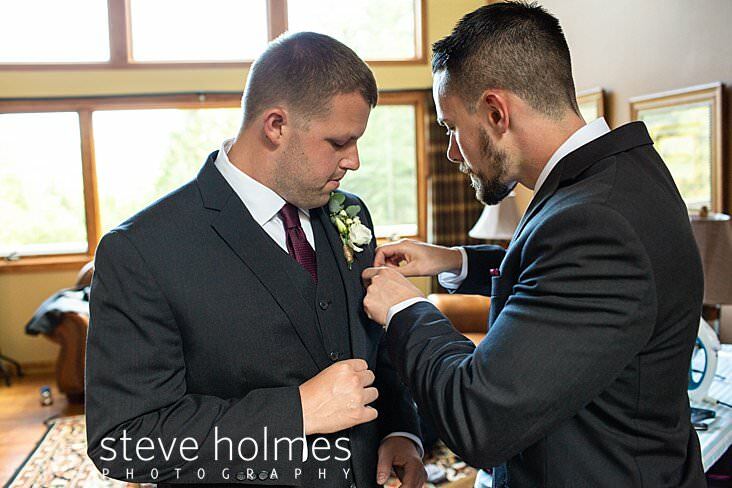 Then, get in touch to set up a complimentary consultation. 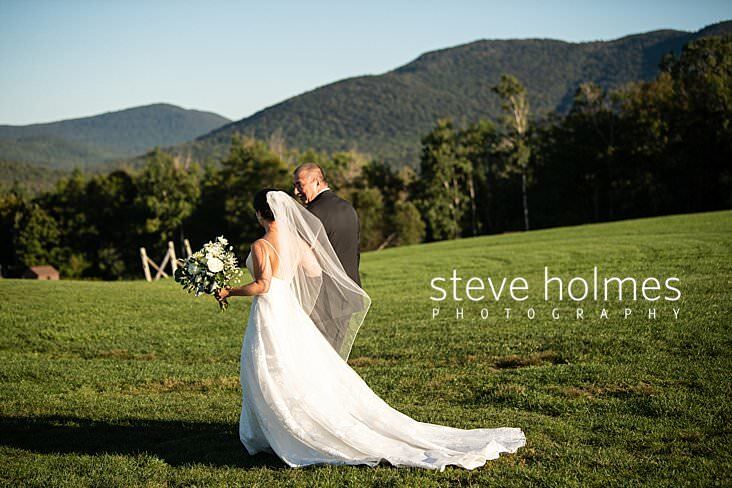 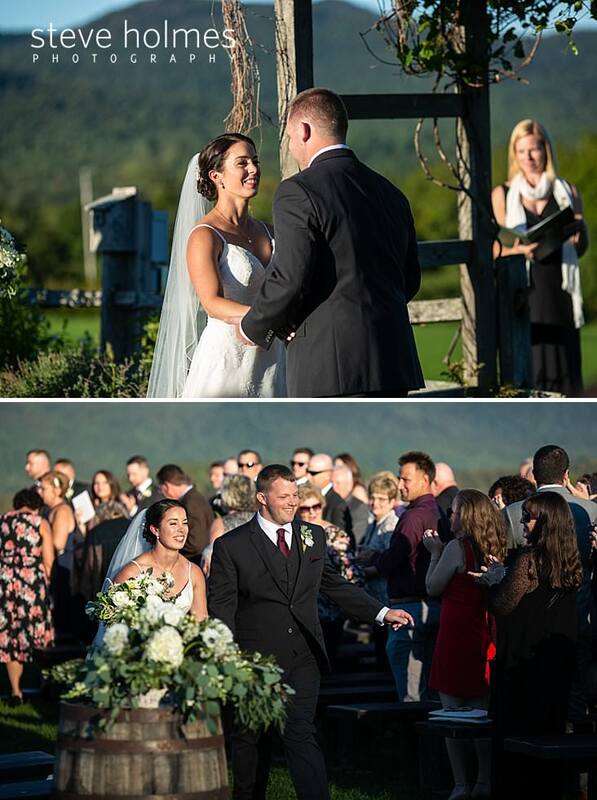 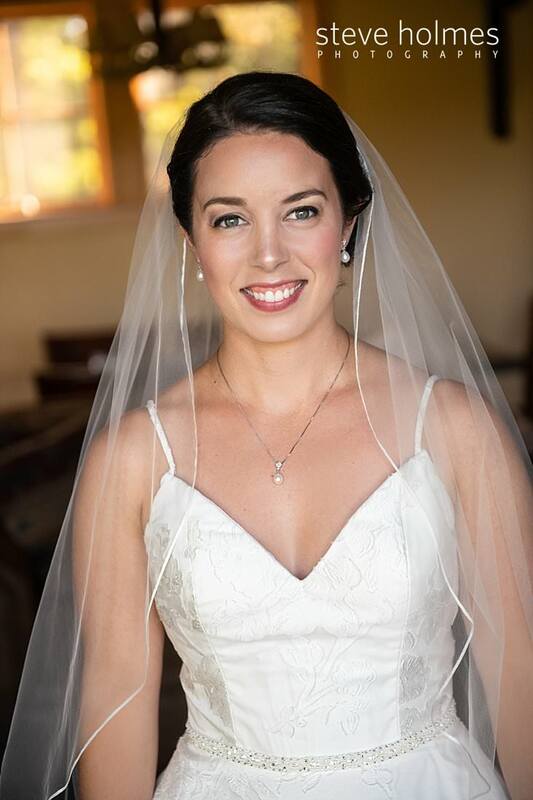 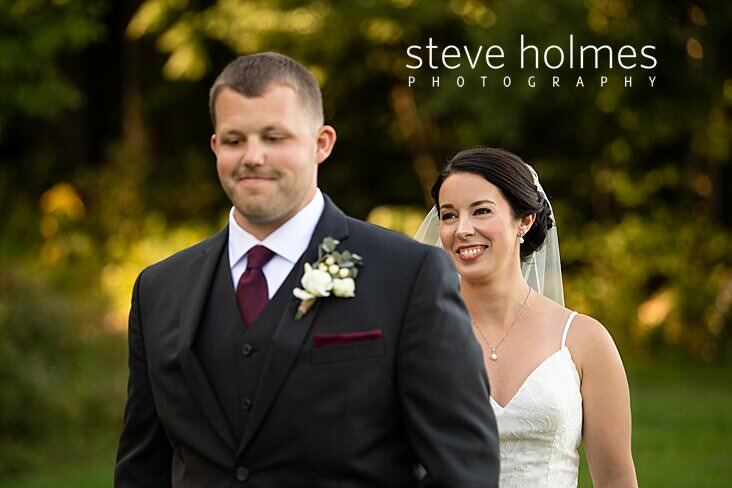 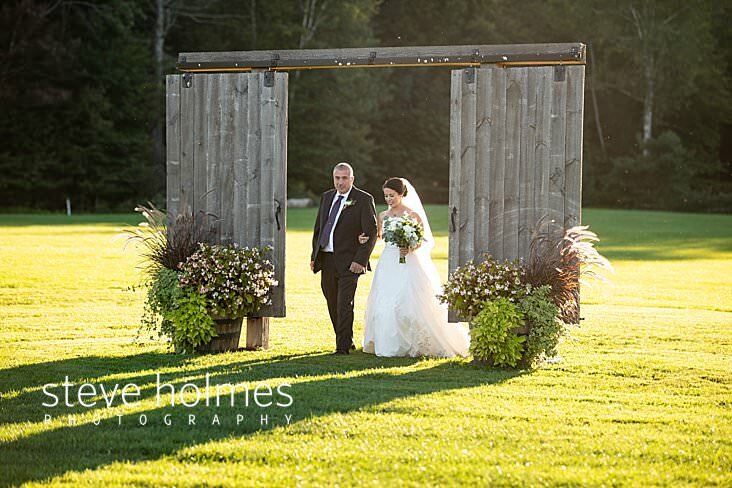 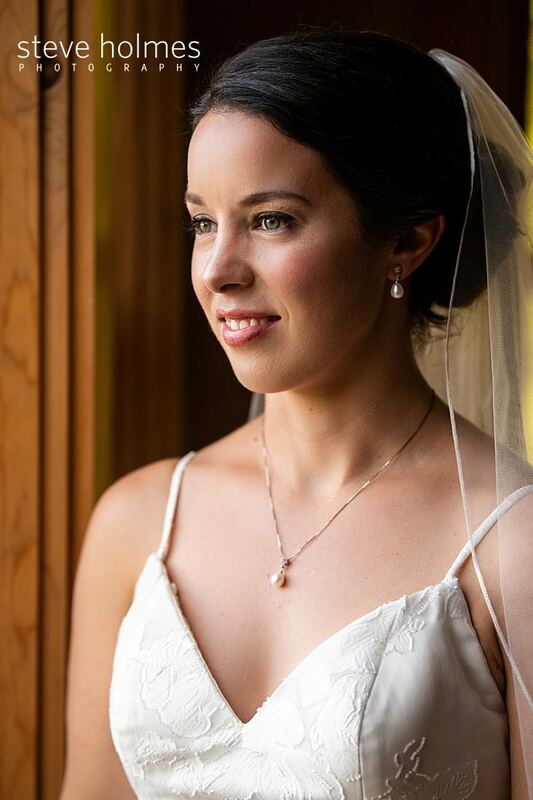 This entry was posted in Weddings and tagged Autumn wedding, Mountain Top Inn Wedding, Outdoor Portraits, Photography, Vermont Wedding Photographer, Weddings & Engagements.